Húsavík has in recent years become increasingly popular as a destination for both foreign and native visitors. 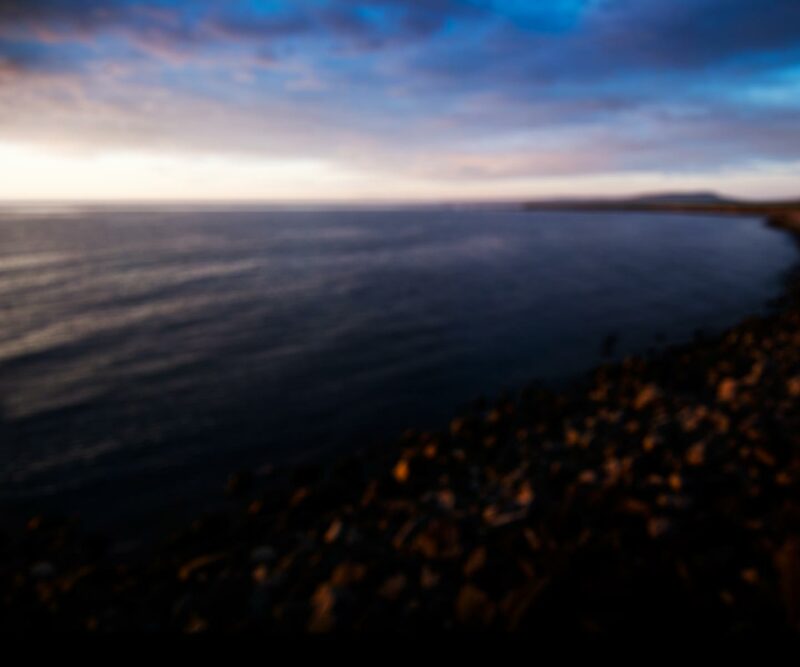 There are several reasons why visitors flock to Húsavík. It is the largest town and centre of commerce and services in Þingeyjarsýsla county of Northeast Iceland. It is a clean and tidy town in an attractive natural setting and offers all basic services in addition to a variety of recreational opportunities. The town of Húsavík sits below Húsavíkurfjall mountain on the eastern shore of Skjálfandi bay. Just above the town is lake Botnsvatn, a popular place for outings. The lake is just the right size for a nice hike around it. The lakes surroundings are rich in vegetation and bird life and trout is said to be abundant, though small. No permit or fee is necessary so feel free to bring a fishing rod and try for a small trout. A small stream runs from the lakes and down through part of the town. Alongside the river is a beautiful little park. Several trees have been planted there in past years and a nice walking path runs through it. At its lower side is a small dam with a bridge running across it and above it is a cosy little duck pond. Húsavík harbour lies below the bank right in the heart of town. The harbour once boasted a large fishing fleet, bustling with the activity of fishermen. 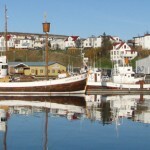 It still serves as a fishing harbour but today’s activity revolves more around the successful whale watching businesses. The first organized whale watching excursions in Iceland started from here in 1995. Since then, whale watching has become a major attraction and Húsavík continues to be the leading destination for whale watching. In addition to the tours, a fascinating whale museum is located right by the harbour. Up on the bank above the harbour runs the main street with a variety of shops and services. There, in town centre stands the church of Húsavík which many consider one of Iceland’s most beautiful churches. It was built with great ambition in 1907, then large enough to seat the entire congregation. Up the street from the church, towards the mountain, you will find the Museum building in Húsavík which is well worth a visit. Within its walls you will find the regional folk museum, maritime museum, museum of natural history, district archives, photo and film archives and the library. Húsavík also hosts another unique museum, The Icelandic Phallological Museum which has roused the curiosity of people around the world. Húsavík offers all necessary services to guests. In addition to shops and restaurants you will find a hotel and guesthouses. At the northern end of town is a nice campground with recently improved facilities. Beside the campgrounds are the sports fields and across the street from them is a nice swimming pool. Up on the hill Húsavíkurhöfði at the northern end of town a test borehole was drilled several years ago in search of geothermal water. The water proved to have a unique mineral content and was led into an old cheese trough which was set up next to the borehole and has been used by locals for health baths with good results for years. Water from this borehole is now piped into the swimming pool. In addition to the various recreational options in town, Húsavík is conveniently located for day trips to most of the major attractions in the Norhteast Iceland region. Driving south from town, Goðafoss is only a 30 minute drive and the Mývatn area about 45 minutes. Driving north around the Tjörnes peninsula Ásbyrgi in Vatnajökull National park is also about a 45 minute drive. One option is to take the Diamond Circle route, starting out from Húsavík heading to Mývatn area, then down to Dettifoss waterfall and Ásbyrgi and from there back to Húsavík. It is quite an extensive drive and the duration depends on the number of attractions visited along the way, but for those who are pressed for time, it can be fit into a long day.